Open: The program runs from MAY to OCTOBER. Group visits organized upon request. On the menu, the forest! Come with us and discover diverse and original facts about the forest environment. 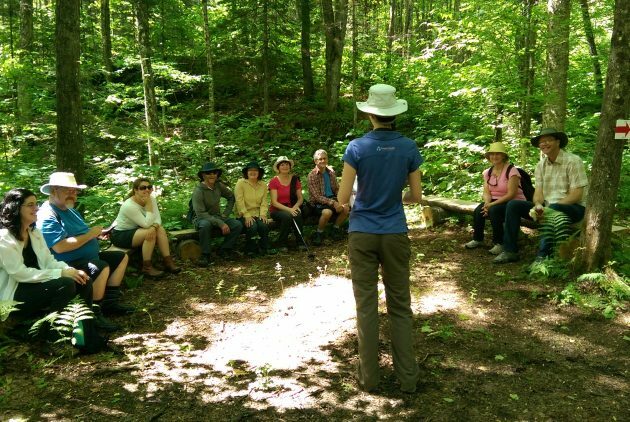 For starters, how about a hike in the Mauricie National Park? As a table d’hôte, we suggest the Seigneurie du Triton train. If you enjoy home cooking, you are sure to enjoy factory visits and a tour of the wooden buildings! Do you like regional cuisine? Then you must visit the outfitters, wildlife reserves and ZECs. For dessert, may we suggest you visit the forestry operations: on the program, forest management and wood harvesting. You will understand how important our forests are. You will share the passion of the people who live and work in the forest. 29 activités parfaites et forfaits famille pour s’amuser durant la semaine de relâche en Mauricie ! Une journée à La Seigneurie du Triton… c’est pas assez ! Le Train du Paradis Forestier, direction Pourvoy’Air Lac Dumoulin avec l’Association forestière de la Vallée du Saint-Maurice!